PvP is a big part of Red Dead Redemption 2 Online. Fighting other players can be really fun, but sometimes you just want to chill out in your camp in peace. 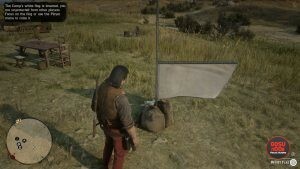 Thankfully, there’s a way to turn of PvP in camp in RDR2 Online using the white flag. If that sounds tempting, keep reading this guide to find out how to protect your camp. 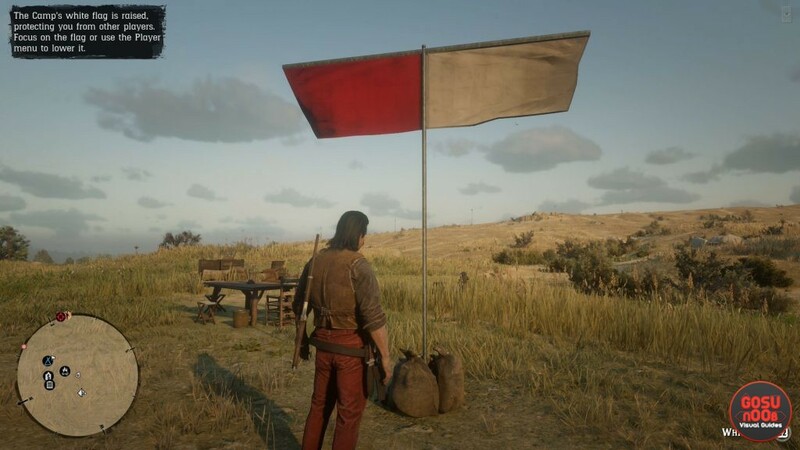 How to use white flag in camp? You may have noticed the big white flag in the middle of your camp. If you inspect it using L2/LT, the game will let you raise or lower it, while explaining what it does. The flag is a signal that shows the game how you feel about PvP in your hideout. Raising the white flag will activate pacifist mode, stopping other players from attacking your camp. This means you’ll become immune to damage while in the camp. Lowering the white flag will raise the red one, signifying you’re ready for battle. You can also do this from the free roam menu – press left on the D-pad to invoke it, then go to the camp section. You’ll see an option called “white flag”, that lets you choose between raised and lowered. Of course, the white flag won’t stop others from assaulting you as soon as you leave the camp. It’s only valid inside your hideout, but as soon as you take one step into no man’s land, you’ll be fair game again. This means someone could wait for you in ambush when they spot a white flag. You’ll want to always leave your camp prepared for combat for this very reason, weapons close at hand and a bunch of ammo in your pockets and a decent amount of horse medicine in the saddle bags.